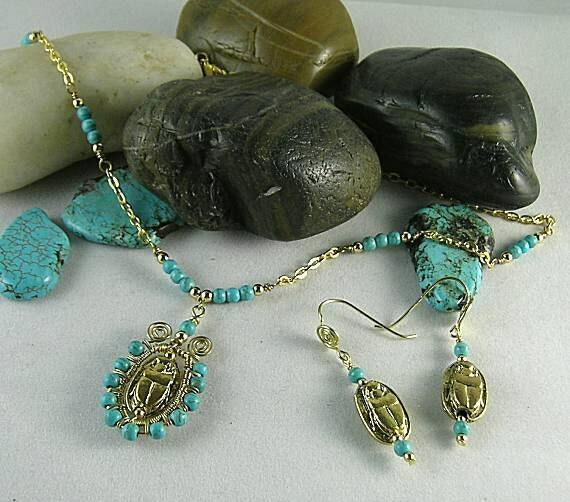 These earring are made with a pendant that consists of a metal scarab bead with turquoise beads top and bottom. This pendant is attached to a handmade sacred spiral ear wire. 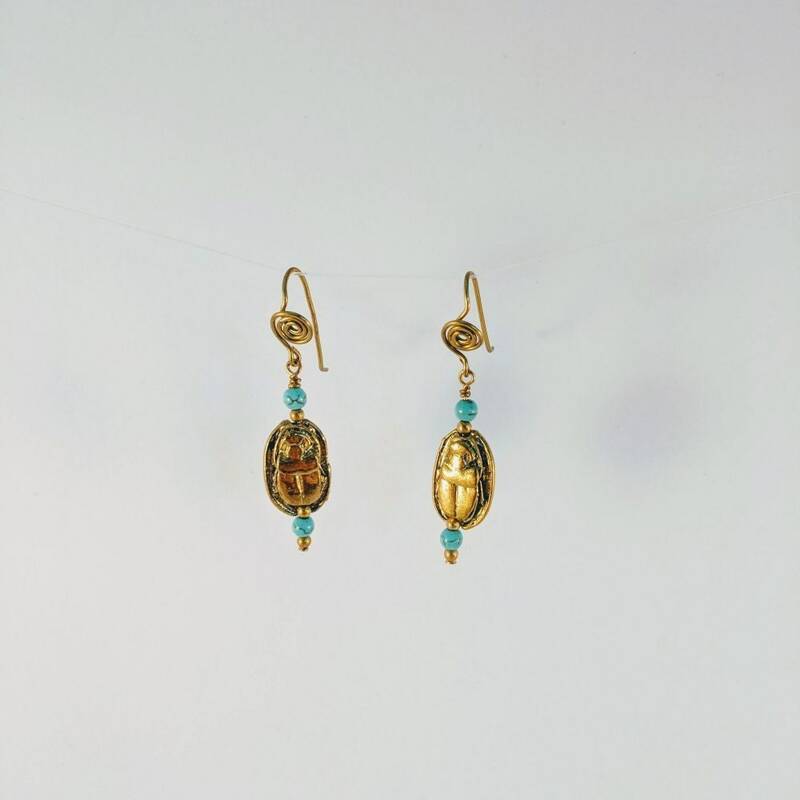 They are great as a stand-alone accessory or with the matching Egyptian Scarab necklace (last pic) which is listed separately. Available in brass/bronze and plated-silver. Sterling silver, silver filled and gold filled are available by custom order. See more Egyptian Jewelry in the Old World section. Scarab: The scarab represents the sun god Khepri and is the symbol of rebirth. Turquoise:The birthstone for December, Turquoise was popular in ancient Egypt, China and Aztec cultures. It is still used by the Native American tribes and has always been considered a stone of life, beauty and good fortune. As the stone of communication, it encourages enthusiasm while attracting prosperity and success.